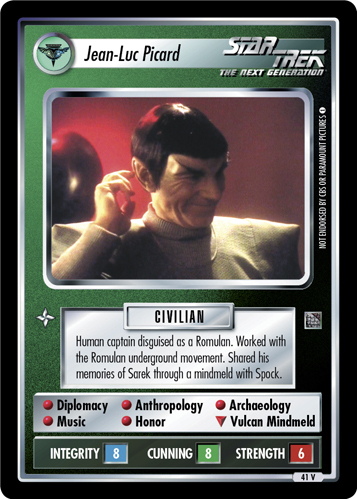 The former captain of the U.S.S. 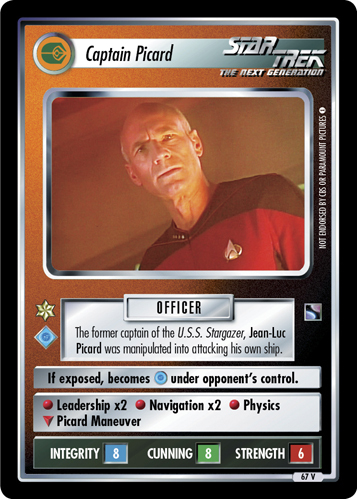 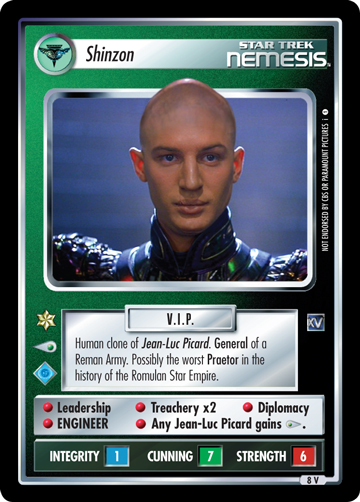 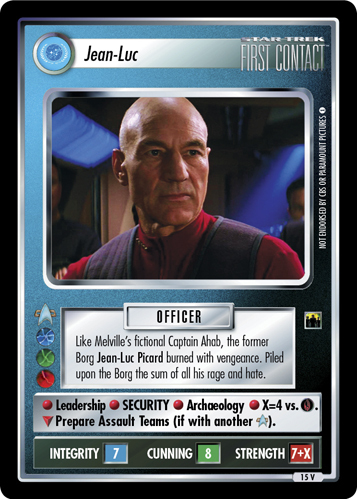 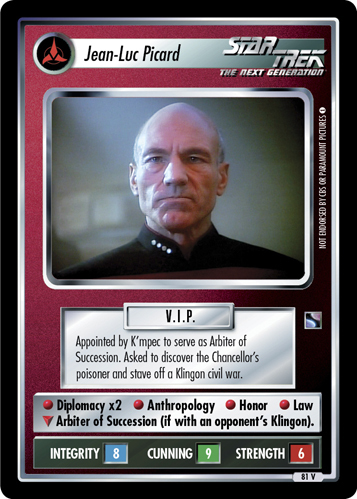 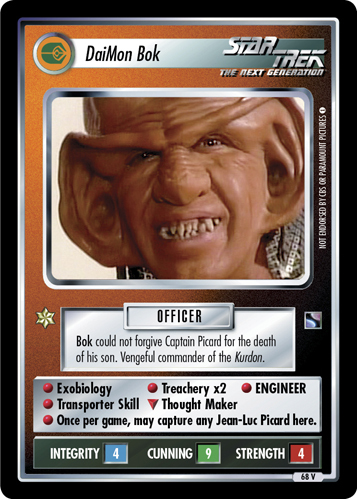 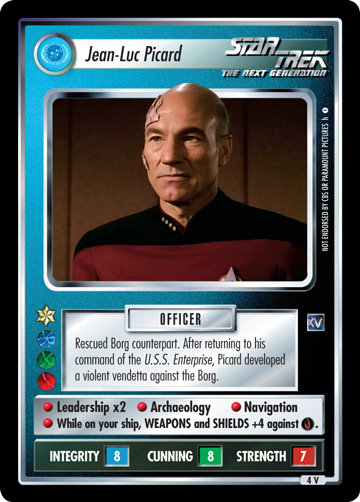 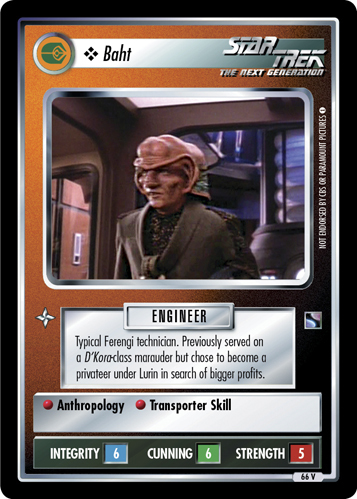 Stargazer, Jean-Luc Picard was manipulated into attacking his own ship. 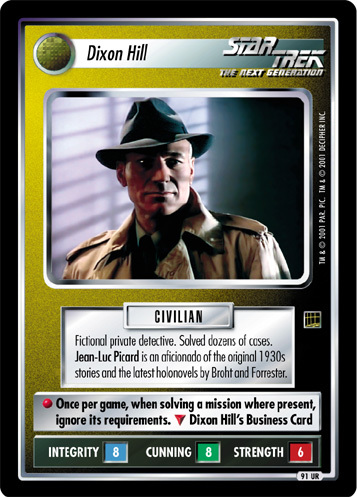 If exposed, becomes under opponent's control.